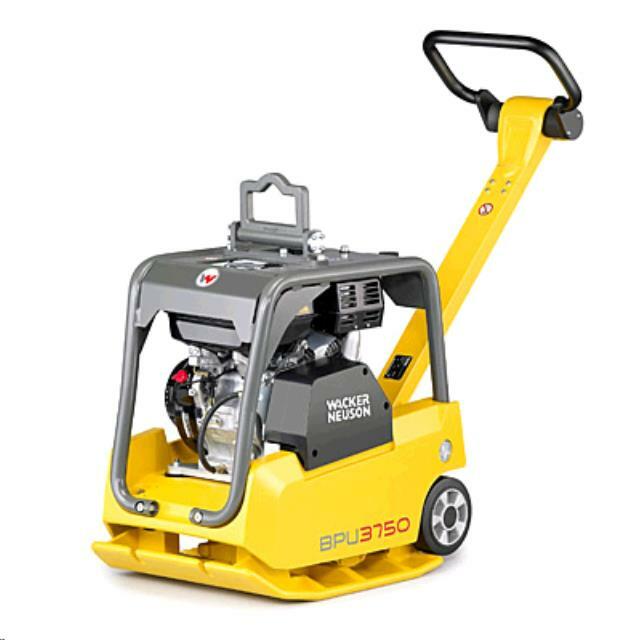 The BPU 2540A offers excellent compaction results with added job site versatility. The unique integrated wheel set simplifies the task of moving a reversible plate around the job site and shop floor. This is an ideal plate for compaction of interlocking paving stones, trenches, paths, sidewalks and maintenance jobs. * Please call us with any questions you may hav about our compactor vib plate reversible 300lb rentals in Wayzata MN and the Western suburbs of Minneapolis.